Congratulations on the third Mini-Gods figure design. For those that might be unfamiliar with the Minigods concept, can you give us a quick overview of the concept and the inspirations behind the project ? 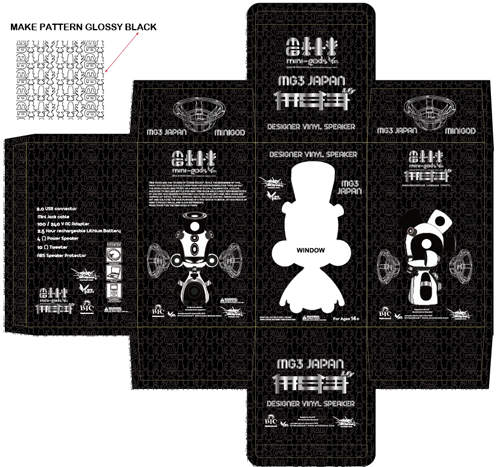 M27: The "minigods" are designer vinyl speakers. I call them indigenous urban vinyl because my inspiration comes from ancient cultures, like the Aztecs, Mayan, African, Asian, and many others. (g.o.d.s) is an acronym for Givers. Of. Divine. Sound. They are a fusion of ancient and street/pop culture. celebration, ceremonies, and rituals. I think of a minigod as a personal toy that a collector can control by choosing what music to play and what vibe they’re feeling at that moment. Minigods are a great way to express yourself through visual and audio. How did you choose Japan as the inspiration for the MG3 design ? 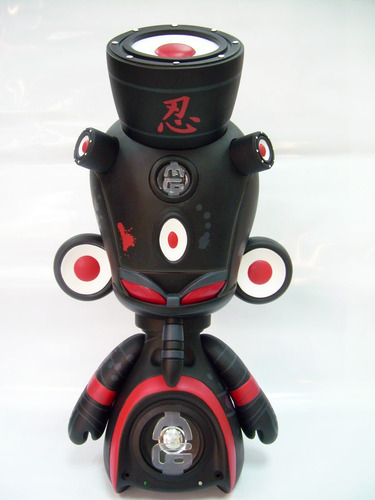 M27: The Japan minigod is based on Japanese aesthetics, a combination of ninja and taiko drums which are of Chinese origin but I really liked the Japanese taiko modern drums. The large shapes on the MG3 head are shaped like the taiko drums. With each iteration, you've upgraded the tech in the Minigods. This new figure is the first mini-god to feature not one but two speakers. 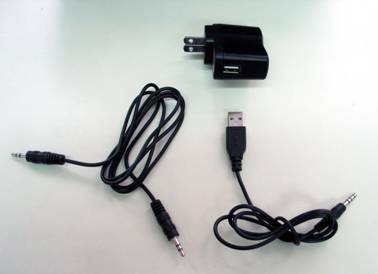 MG3 also has an increased choice of both audio (USB 2.0 + mini-jack) and power connections (lithium ion rechargeable battery + AC adaptor). Have you now reached your goals in terms of usability and audio performance ? M27: I would say we are really pleased with the Japan minigod. I think that it's a lot more challenging to meet your goals when you’re making such a small run of toys with function. All factories and suppliers have minimum requirements and for us it's been a long journey getting to the level of quality we have achieved with the latest MG3 Japan. Also the minigods are now being produced by Bic Plastics and they are known for their high standards and quality control. Today, we're looking at the MG3 Japan Ninja edition, how many additional versions can collectors look forward to ? M27: Ha! there’s no fun in giving up all the goods. Folks are gonna have to wait and see. Rumor has it that you have lined up a high-profile artist crossover for MG3. Can you give us a hint or better yet, reveal the guest artist? M27: O.K here is a hint for all you old school vinyl heads out there. I’m collaborating with an amazing talent from Hong Kong. 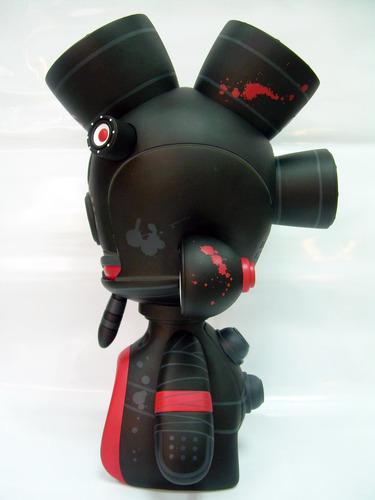 He was the first to make a vinyl toy with a working speaker. From the jump the Minigods project has been planned as a trio of designs. Now that MG3 is almost here, are you thinking about expanding the full-size line ? M27: We will continue to make minigods as long as people continue to enjoy them. I also have something "HUGE" in the works and all I can say is, "Special things come in a small package". Thanks V.P for all the support, from the first Brazil minigod till now. So when does this one come out?